Michelin Pilot Sport 4 increases every aspect of performance so drivers can experience exhilarating moments while feeling confident and safe. Michelin Pilot Sport 4 increases every aspect of performance so drivers can experience exhilarating moments while feeling confident and safe. Get ready for journeys of sheer driving pleasure in safety, with tyres that instinctively translate your decisions onto the road. The Pilot Sport 4 offers excellent steering control and high level of reactivity. The Dynamic Response Technology ensures optimum transmission of steering instructions on to the road. It's ultra reactive tread pattern design adapts continuously to the road for an optimized footprint on the road. 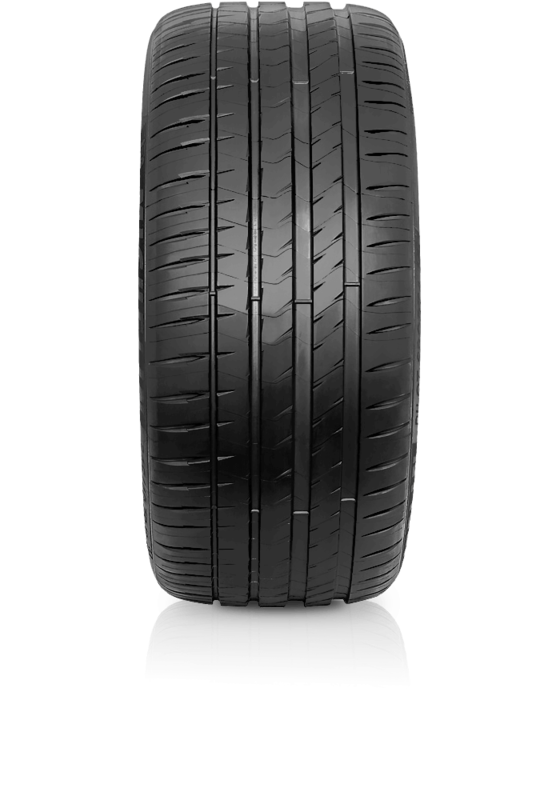 Michelin's Pilot Sport 4 offers a high level of safety on wet roads. With a new mix of compound with specific “functional elastomers” and hydrophobic Silica provides excellent wet grip and braking. Additionally the design features wide and deep longitudinal grooves to ensure a high level of drainage on wet roads.